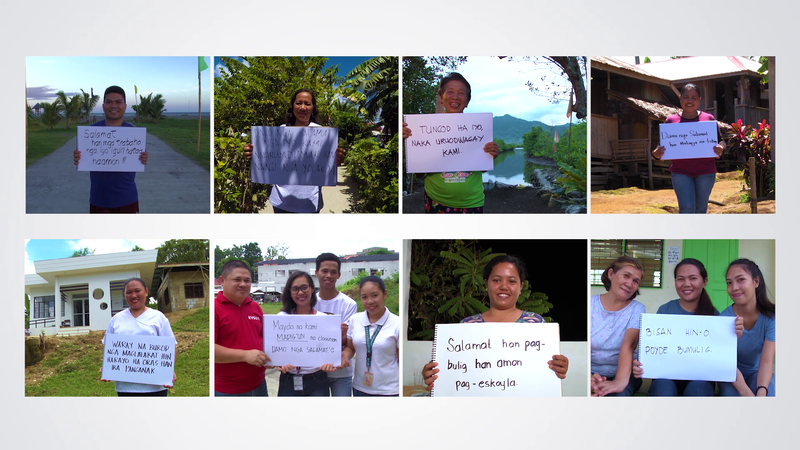 Five years after Typhoon Yolanda, seven survivors from different walks of life who helped rebuild their communities share their stories of hope in a music video released by ABS-CBN Lingkod Kapamilya Foundation, Inc. (ALKFI). The individuals seen in the video, a baker, a tour guide, a teacher, a sanitation inspector, a midwife, a student, and a volunteer—rallied their communities to come back stronger after the devastating effects of the typhoon in 2013. They were among those who took the lead in maximizing various new programs in tourism, agriculture, fisheries, bakeries, healthcare, health services, and more, which directly benefited more than 45,000 individuals across the region. The video, which featured the song "Pagka’t Nariyan Ka" by Star Music artist Sam Mangubat, was posted on the ABS-CBN Lingkod Kapamilya YouTube page on November 8, the anniversary of Typhoon Yolanda. Seen in the video are Imelda Padrigano, a baker from Salcedo, Eastern Samar; Fidelina Villagracia, a 70 year – a mother who works as a tour guide in San Juan by the Bay, Sta. Rita, Samar; Rotchie Castil, a teacher and social media manager from Sabang, Daguitan, who helps his community by publicizing their various tourism efforts online and Imelda Eusebio, a health and sanitation officer from Dagami, Leyte who worked to help provide clean and accessible water to her community. Joining them are Fe Bantigue, a midwife from Jiabong Samar who walked 3 hours to and from work daily before new health centers were built in remote barangays; Susan Austero, a woman who achieved her dreams of working in the food industry thanks to new educational programs, and Susan Cadaro, a Typhoon Yolanda evacuee-turned volunteer who found her vocation in helping fellow evacuees. These survivors are the direct beneficiaries of the projects of ABS-CBN Lingkod Kapamilya. Through its program Operation Sagip (formerly known as Sagip Kapamilya), ALKFI has reached 3.6 million survivors through immediate relief assistance; 425 individuals through installing water facility in Dagami, Leyte and; 9,994 families through building Barangay Health Units and installing health facilities in Jiabong and Hinabangan in Samar and Jaro and San Miguel in Leyte. Operation Sagip also collaborated with Energy Development Corporation to build multi – purpose classrooms that can serve as evacuation centers during calamities. In collaboration with and through the free design and services provided by Cosculluela Architects, Casas Architects and Sy^2 Engineers, a total of 135 classrooms that can withstand 300 kph winds and 7.2 earthquake magnitude were constructed in the provinces of Eastern Samar, Samar, Northern Palawan and Panay Islands which consist of Aklan, Antique, Iloilo and Capiz. These classrooms served 6,075 students. A total of 52,246 students and 1,946 teachers also benefited through educational soft programs and provision of senior high equipment. Meanwhile, a total of 45,203 individuals benefited from the different livelihood programs ofALKFI’s environment arm Bantay Kalikasan, such as distribution of fishing boats; funding the tikog weavers in Basey, Samar and; development of San Jose Skimboarding Camp, Sohoton Cave in Basey Samar, Tangke Lagoon and Bancal Fish Sanctuary in Carles Iloilo as ecotourism sites. 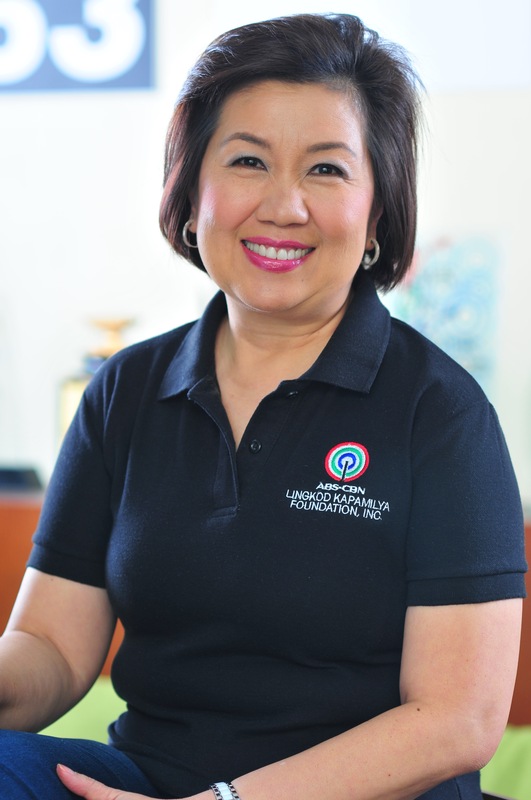 To officially conclude the intervention, ABS-CBN Lingkod Kapamilya is set to launch four Yolanda Legacy Projects or the multi – purpose, typhoon and calamity – resilient buildings with eight classrooms in Ormoc and Tacloban, Leyte; Guiuan, Samar and; Concepcion, Iloilo which will directly benefit 24,292 individuals. The various projects are funded through more than P1 billion in donations from various companies, organizations, and individuals following Typhoon Yolanda. "Donations coursed through Operation Sagip transformed people’s lives and different local communities in many ways. All the aforementioned projects would not have been humanly possible if it were not for kindhearted donors, partners and volunteers who fully supported ALKFI as an institution through the years. The valuable roles they played were truly remarkable and worth-sharing. Without doubt, they have fully shown that what they did was all about helping fellow Filipinos," Operation Sagip Program Director Jun Dungo stated.